Beautiful 4 bedroom 3 bathroom FULL brick ranch-style home, located in well established neighborhood of Holiday Park Estates. This lovely home boasts over 2900 TOTAL SQFT of living space, nice open floor plan features formal living room with a Wood-burning fireplace & stone accent wall. Great kitchen with LOTS of cabinet space, NEW tiled back-splash, counter tops, cook-top and new refrigerator. All bedrooms offer ample closet/storage space. Nice main floor laundry, and there's plenty of room for a family & friend movie or game nights in the nicely finished lower level family room! There is also a great bar area, & full bath! The partially finished lower level also offers a sleeping area & storage room! Enjoy BBQ'ing your favorite foods out on the back deck! 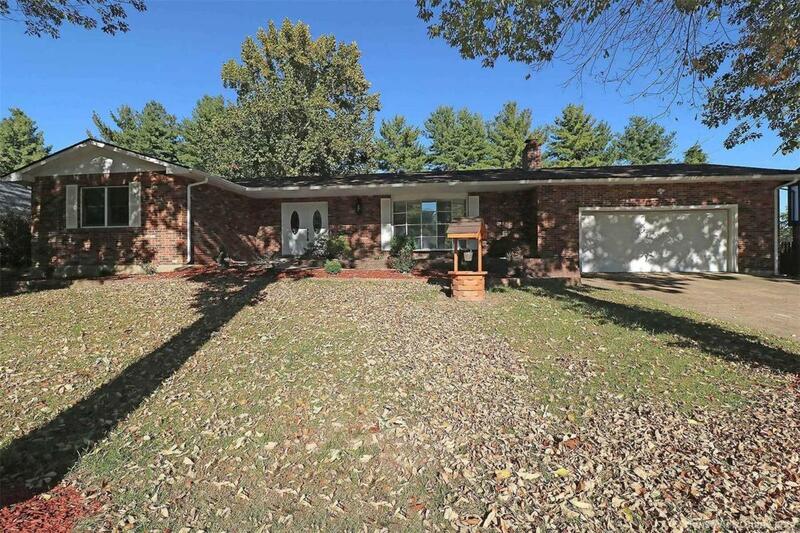 Home is situated on a nice level lot with matures trees offering plenty of shade. Lots of updates including beautiful new vinyl plank flooring, fresh paint all through out the home, updated light fixtures, new electric panel & more!